Tokyo is one of the biggest and most crowded cities in the world. As usual, the city is always full of tourists and visitors; people who explore the most interesting views of the capital. The exploration of the amazing Tokyo can also be done without spending money. A lot of great places, like parks, temples, markets, museums can be visited for free. There are dozens of free activities in Tokyo and here I’ve collected some of them. I recommend you to visit at least one of these things enlisted here. The shrine is dedicated to the memory of Emperor Meiji and Empress Shoken. It is located in a huge evergreen forest. The shrine is situated in one of the largest forested areas of the city. 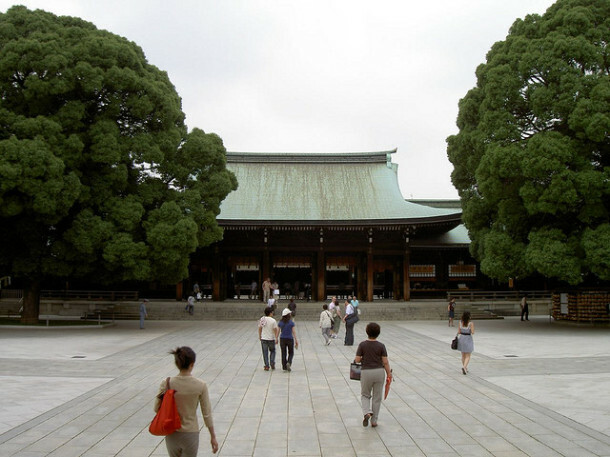 Meiji Shrine is composed of two areas: Naien and Gaien. Naien, an inner precinct area includes many of the shrine’s buildings and also a treasure museum. Gaien, an outer precinct area includes a picture gallery, namely Meiji Memorial Picture Gallery. The exhibited pictures illustrate the Emperor’s life. The shrine can be visited from sunrise to sunset, and to top it all, you don’t have to pay if you want to visit Meiji Shrine. 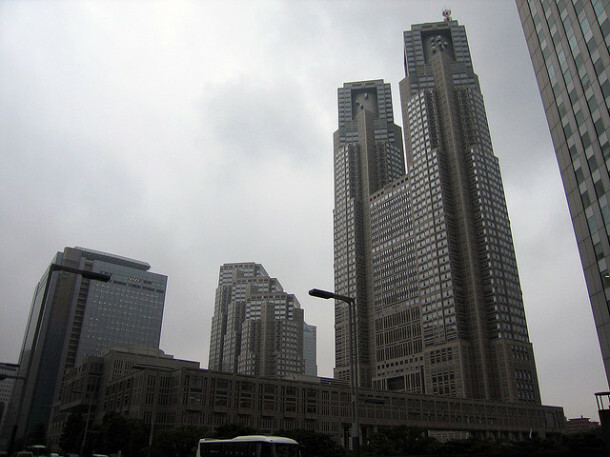 Tokyo City Hall, also known as Tokyo Metropolitan Government Building provides an amazing view on the city. Tourists can check out this view from meters above the ground. The public observation decks are located on the 45th floor. It is recommended to visit Tokyo City Hall on clear days, otherwise the clouds and the rain block the view. Mount Fuji and even Yokohama can be seen from here.The building is open between 9.30 AM-11 PM every day. 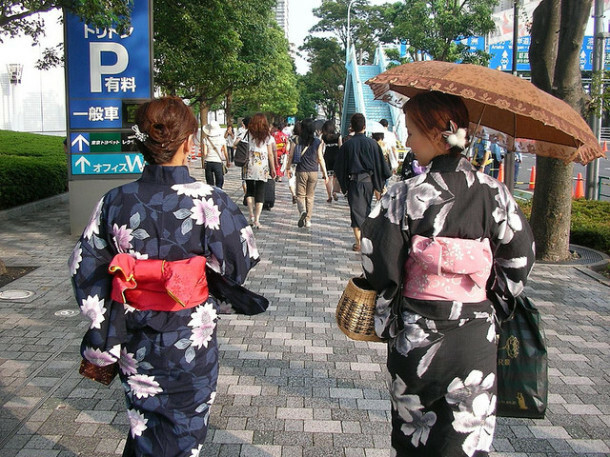 Since there are hundreds of festivals in Japan, many visitors are likely to catch one of them. These festivals may focus on the moon, fertility, death, luck, flowers, children, longevity and so on. Most of these festivals guarantee cultural processions, live entertainment and food stalls. These can create an unforgettable memory in every tourist’s mind. For those who want to enjoy one of these cultural festivals, it is recommended to do it during summer, when most of Japanese festivals are celebrated. Nowadays nature inside a metropolis is almost priceless. 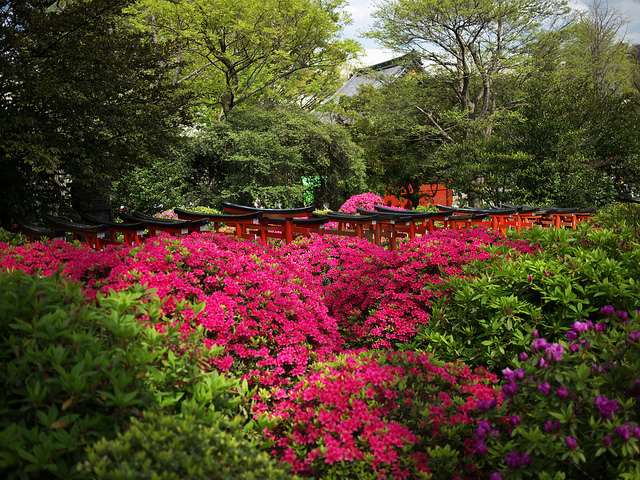 Dozens of beautiful gardens and parks are in Tokyo and most of them can be visited for free. Spring is the best time to visit these gardens because cherry blossoms always impress people. 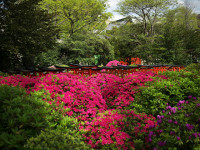 Some of Tokyo’s famous (free) gardens are: Higashi Gyoen Garden, Nezu-jinja Shrine Garden, Shin Edogawa Garden. Here tourists can see bonsai trees, Zen rock gardens, stone lanterns and many other beautiful things. If you are in Tokyo, visit at least one of these gardens and you won’t regret it. Tokyo is a city full of interesting museums. All of them exhibit outstanding artistic works or historical heritages or many other things. Some museums have quite expensive fees, but this does not mean that they exhibit more interesting objects than those without fees. Everything is valuable and expensive things are not always the best. Some of Tokyo’s free museums are: Parasite Museum, Banknote and Postage Stamp Museum, Advertising Museum, Sumo Museum, Beer Museum Yebisu, Japan Stationary Museum, Eyeglass Museum.